Editor’s Note: The International Water Security Network recently published an overview of Cienega Watershed Partnership’s State of the Watershed presentation, titled “State of the Watershed: Using indicators and adaptive management to sustain one of the last perennial streams in Southern Arizona.” This is an excerpt. Click the link above or at the end of this excerpt to read the full summary. The Cienega Creek is one of the last running streamlets in semiarid, drought-prone Southern Arizona (annual rainfall is 15 inches), and it is the defining feature of the surrounding watershed. The Cienega Watershed, located southeast of Tucson, contains some of the rarest habitats in the American Southwest – cienegas (marshlands), cottonwood riparian forests, Sacaton grasslands, mesquite bosques, and semi-arid grasslands. It is also home to several threatened and endangered species, including fish and frog species that live in the wet sections of the creek. The watershed includes many active cattle ranches, and it is an attractive visitor destination, for its landscapes and scenic beauty, and for the region’s cultural heritage. Unfortunately, these important conservation and socio-cultural values are increasingly threatened by population growth, human development, and climate change. Wildfires have increased in frequency and intensity over the past decade, and the wet sections of the watershed have been shrinking over time. Invasive species have proliferated, threatening the survival of key native species and their habitats. In addition, plans have been approved to open a copper mine within the watershed. Such a development would likely alter local hydrological systems, and have significant impact on the landscape and ecosystems within the watershed. Because of the wetlands’ critical role for both social and ecological systems, many people are concerned about the state of the health of this watershed. The Cienega Watershed Partnership (CWP) is a nonprofit organization that supports stewardship initiatives in the Cienega Watershed. CWP works with many partners – organizations and individuals – to sustain the watershed’s ecological systems, heritage values, wildlife corridors, and open spaces for future generations. The CWP is unique in the sense that it brings together multiple federal, state, and county agencies, NGOs, and other local organizations with different missions, all sharing a common goal – to sustain the health of the watershed. While CWP is a citizens-based organization, it works closely with a broad spectrum of organizations and agencies, including the Bureau of Land Management (BLM) (which has jurisdiction over the largest parcel of land within the watershed – the Las Cienegas National Conservation Area, or LCNCA), National Forest Service, National Park Service, Pima Association of Governments, The Nature Conservancy, Sky Island Alliance, the University of Arizona, and several Pima County agencies. The CWP is sponsoring a project called The State of the Cienega Watershed, part of a larger effort to provide a regular assessment of the watershed’s overall health. The CWP partners include people from organizations already working on watershed health assessment in one form or another. For example, researchers from The Nature Conservancy regularly monitor plant species on the LCNCA. A parallel effort is being developed by Pima County Office of Sustainability on county land. 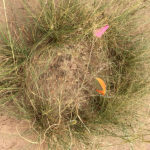 BLM resource management specialists also track endangered species on their land in order to comply with federal regulations and monitor groundwater levels, stream flows, wet-dry lengths, and more. In addition, Pima Association of Governments monitors multiple aspects of the Pima County portion of the watershed including water quality, groundwater levels, and wet-dry lengths. While each organization looks at portions of the watershed based on jurisdictional boundaries, CWP is the only organization that is truly looking at the watershed as a whole. This holistic approach is necessary because jurisdictions do not always align with ecosystem functions. CWP capitalizes on existing data gathered by these partner organizations, providing a broader, more comprehensive mechanism for long-term monitoring, regular evaluation, and adaptation of CWP program priorities and actions to meet changing conditions. Read the full article on the International Water Security Network blog. 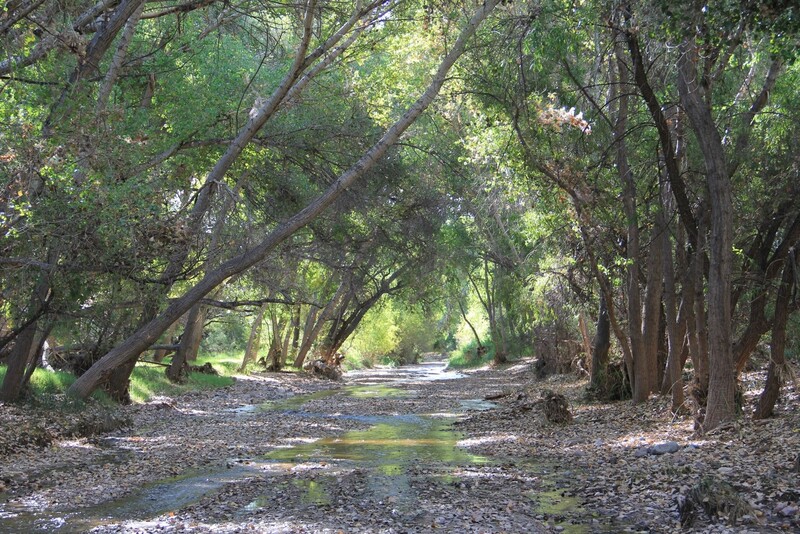 Photo of Cienega Creek courtesy Cienega Watershed Partnership.